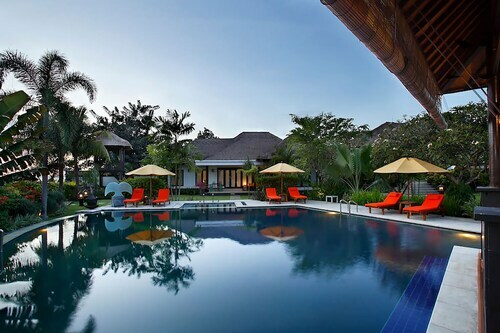 Situated in Gianyar, this villa is within 1 mi (2 km) of Lebih Beach and Bali Marine and Safari Park. Cucukan Beach and Keramas Beach are also within 1 mi (2 km). Nestled on the beach, this Gianyar hotel is within a 15-minute walk of Lebih Beach, Cucukan Beach, and Bali Marine and Safari Park. Bali Theatre and Keramas Beach are also within 2 mi (3 km). 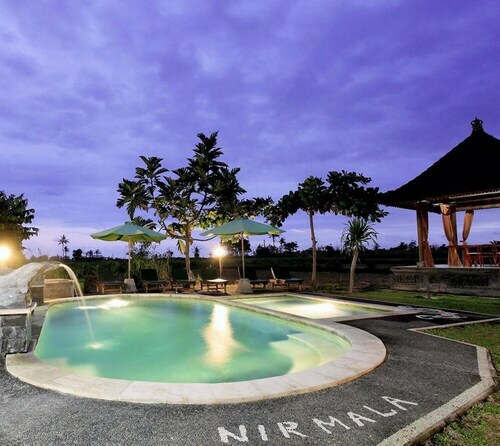 Situated in Gianyar, this guesthouse is within 1 mi (2 km) of Lebih Beach and Bali Marine and Safari Park. Cucukan Beach and Keramas Beach are also within 1 mi (2 km). We had a wonderful long weekend at this amazing place. Very relaxing with lots of activities to fill your days and nights. Friendly and helpful staff. Highly recommended, an experience of a lifetime. 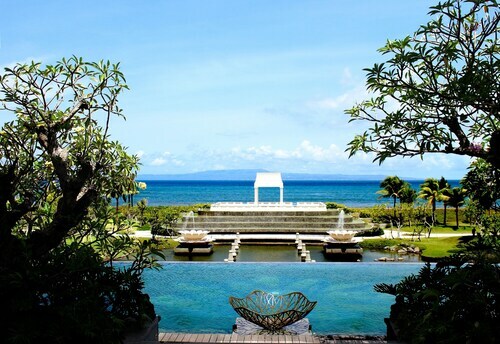 Situated by the ocean, this hotel is within 1 mi (2 km) of Lebih Beach and Bali Marine and Safari Park. Cucukan Beach and Keramas Beach are also within 2 mi (3 km). Nestled on the beach, this Gianyar guesthouse is 0.2 mi (0.3 km) from Keramas Beach and 1.5 mi (2.4 km) from Bali Marine and Safari Park. Saba Beach and Lebih Beach are also within 2 mi (3 km). 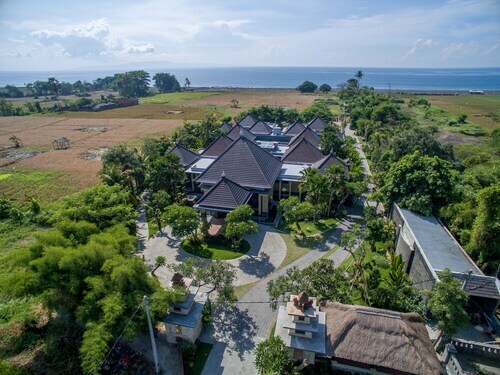 Located in Gianyar, this beachfront villa is in the historical district, 0.1 mi (0.2 km) from Lebih Beach, and 1.3 mi (2.1 km) from Bali Marine and Safari Park. Cucukan Beach and Keramas Beach are also within 3 mi (5 km). 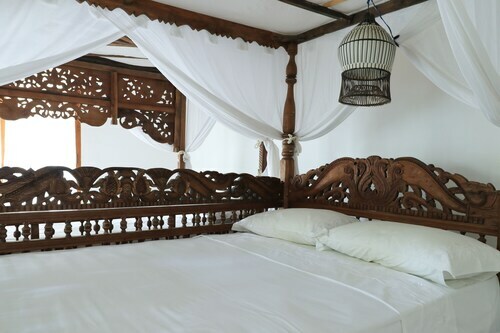 Situated in Gianyar, this bed & breakfast is 1.9 mi (3.1 km) from Keramas Beach and 2.2 mi (3.5 km) from Bali Marine and Safari Park. Saba Beach and Lebih Beach are also within 3 mi (5 km). 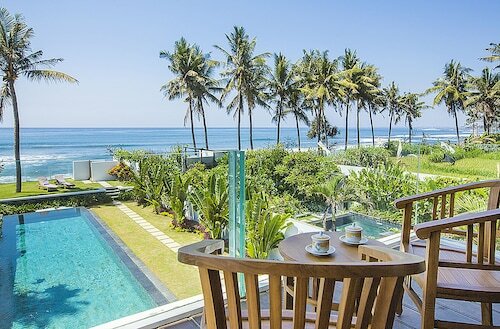 Located in Gianyar, this beachfront resort is in the historical district, 0.1 mi (0.1 km) from Keramas Beach, and 1.6 mi (2.5 km) from Bali Marine and Safari Park. Saba Beach and Lebih Beach are also within 2 mi (3 km). 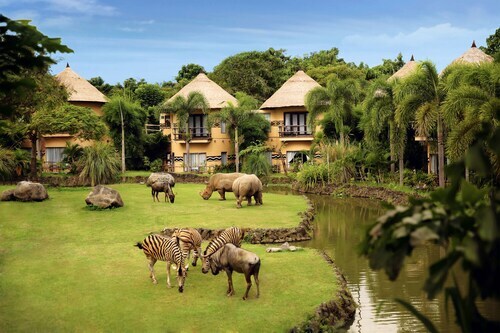 Walk on the wild side with the unique animals at Bali Marine and Safari Park. The locals are certain to tell you that it's up there the best places in Gianyar, a destination that is situated roughly 980 kilometres from Jakarta, the nation's capital. There are 5 listed accommodations within easy commuting distance of Bali Marine and Safari Park. Check out the amenities at the Bali Diamond Villas (2 kilometres), the MARA RIVER SAFARI LODGE at Bali Safari & Marine Park (0.7 kilometres) and the Komune Resort & Beach Club Bali (2 kilometres). Want to get the most out of your travel dollars? This region offers some low-price accommodation options. Check the rates at the Sadru House. The Arnawa Bungalow is also recommended. 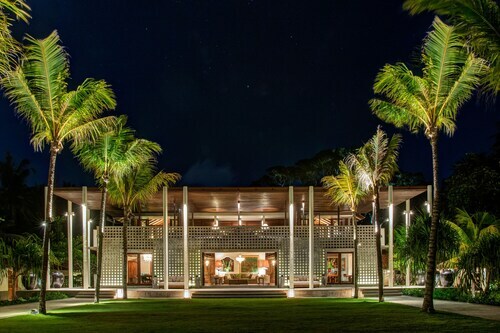 The Rumah Luwih Beach Resort and Spa Bali, about 0.5 kilometres away, is an upscale hotel with fantastic amenities. It'll make your holiday one you'll always remember. If you need your next caffeine hit, there's Gunung Sari Luwak Coffee Lebih just a short walk away. For something to fill you up, grab a table for lunch at Villa L'Orange Bali. Thirsty yet? Get yourself to Bagoes Karaoke And Music Club for a beer or a wine. There's nothing like dinner and a show! Purchase a ticket and take your seat at Bali Theatre. Reset yourself when you visit Cucukan Beach. Bring your friends, and enjoy the salty sea breeze! Pura Masceti will stun you with its beautifully crafted interior and serene atmosphere. There's nothing like the joy of lying by the water. Make sure you venture to Keramas Beach. Take a big gulp of fresh salty air at Saba Beach, and let all your stress disappear. 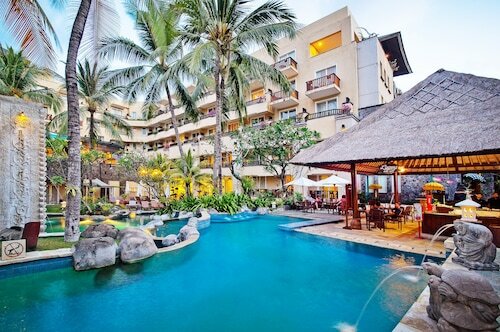 How Much is a Hotel Room in Bali Marine and Safari Park? 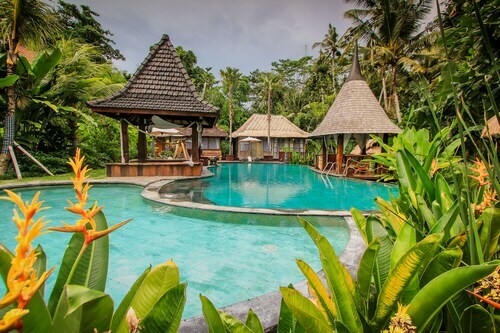 Hotels in Bali Marine and Safari Park start at AU$26 per night. Prices and availability subject to change. Additional terms may apply.